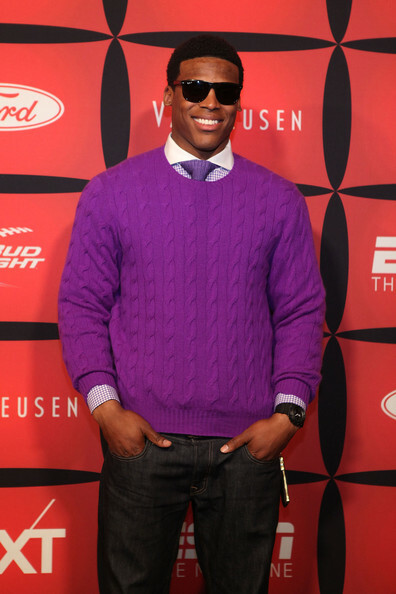 Professional football player Cam Newton attends ESPN The Magazine's "NEXT" Event on February 3, 2012 in Indianapolis, Indiana. Cam Newton, purple couldn't be any more your color than it already is! A preppy athlete with an edge is always in style. Chris Evans was keeping a shred of mysteriousness in these classic shades.